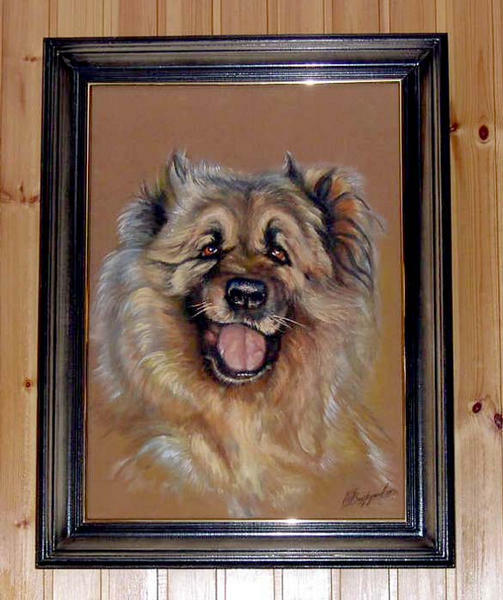 Description: Photo of an oil painting of HABIBA, age 13+ years, owned and loved by our friend and mentor Galina Kirkitskaya, Russkiy Medved kennel in Russia. HABIBA is the glorious granddam to our LADOGA and EL. Photo is (c)2003 Elena Levitina of Gold Ring kennel, Russia, and used in the Esquire gallery by permission and may not be reproduced without permission of the copyright holder. Copyright 2002 All Enthusiast, Inc.